This Innovation 488 Power Cat Flybridge is in great order and is ready for it's new owner to get out there and enjoy the summer months. Fantastic hull design so is a great Broadwater boat and very capable of venturing outside for some Whale watching. At 52 feet LOA "Catnap" is a huge volume boat with a fantastic layout both in the living areas and on the upper flybridge level, a true entertainer! She is powered with twin Yanmar Diesel Engines and driven by Shafts making her a very manageable boat also with the added bonus of a Bowthruster! This beautiful vessel will economically cruise at 10 knots and has a max speed of 16 knots, fuel burn is an exceptional 20 l/ph at 8 knots and boasts an equally impressive fuel capacity of 3,000 litres for extended voyages. As a coastal cruiser this boat also has an impressive 3,000 litres of water and a 600 litre holding tank. 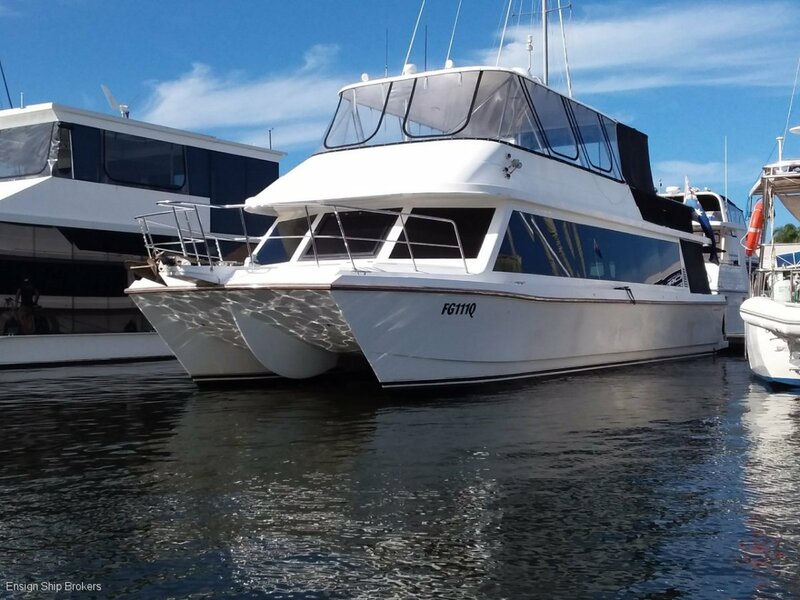 With a well equipped galley featuring a dishwasher, microwave and ample refrigeration along with a stainless gas bbq she is ready for extended stays or even as a live aboard. This is a very impressive boat and the vendor has priced it to sell! "Catnap" is well worth your inspection as we are confident that your inspection will impress!